West Bengal Staff Selection Commission (WBSSC) conducted a written examination on 27th July, 2014 (Sunday) for recruitment to the post of Food Supply Sub-Inspector (Food SI) . The written examination consist with two separate parts ( Total 150 MCQ questions for 100 marks) . General Mathematics (Asthmatics) and General Studies (Current Affairs 2014) . More than 5 lacks candidates appeared on WBSSC Food Supply Sub Inspector Job 2014 Written test held on thousands venues/center all over west Bengal. WBSSC Food Supply SI Exam 2014 General Studies and Arithmetic Questions Solved Papers. Those candidates who are seated on the above said Food SI examination 2014, are eagerly awaiting to know the correct answer key (which will be publish official on WBSSC official website very soon), expected cut off marks, Written exam result and many more other recruitment details. 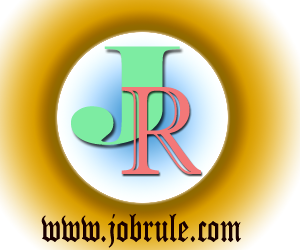 We the jobrule team, continuesly helping our fellow website visitor and lovers by sharing the model/sample questions (Question Booklet No -A, B, C & D) and Jobrule Answer Key. Today , we share the Part-3 portion containing 50 Multiple Choice Questions (General Asthmatics-Mathematics). We will upload the WBSSC Food SI Mathematics part Jobrule answer key within next 7 days. Candidates of all other competitive examination also can practice/prepare online for better examination preparation. If the length of a rectangle is increased by 8 m its area increases by 72 sq.m. The breadth of the rectangle is ? In an examination 65% of the total number of examines passed. If the number of failures is 17% more than the number of candidates not appeared in the examination then total number of passed candidates is ? 12 person take 9 days to prepare 18 windows . The no of days required by 54 persons to prepare 45 windows ? Average age of three brothers and their father is 18 Years. Average age of these three brothers and their mother is 16 years . Mother ‘s age is 34 years. The age of the father is ? Two buses travel to a place at 25 kmph and 35 kmph respectively. If the second bus takes 16 ½% hr less than the first for the same journey, the length of journey is ? A carton containing 20 glass toys is dropped. Which of the following can not be the ratio broken toy to unbroken toy ?